Halloween Costume Illusion Ideas That Trick Your Mind. Take A Look At Them! Does everyone have their Halloween costumes ready? After all, Halloween is less than a week away. Just for fun, I went poking around on the Internet this morning for some fun and interesting Halloween costume illusion ideas. And, I have to say wow! It’s pretty interesting how creative people can be and what types of costumes they can come up with. I never was very flexible myself, so this contortionist Halloween costume really blows my mind. 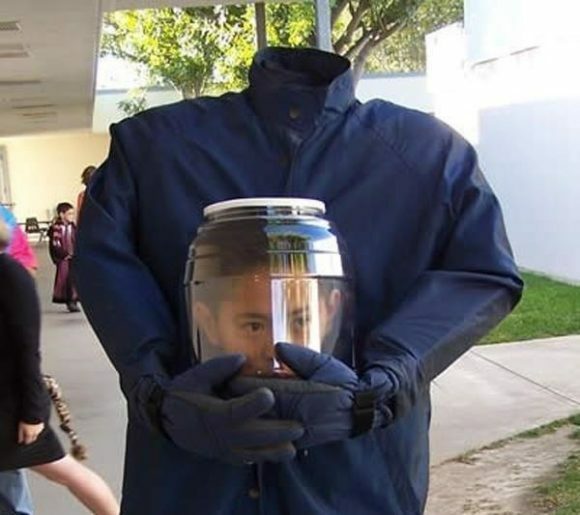 When I first saw it, I thought it might have been real, and it’s definitely my favorite illusion Halloween costume on the list! Aw, how cute! They’re in love. Okay, either that or this pirate decided to kidnap the beautiful mermaid. Thoughts…? 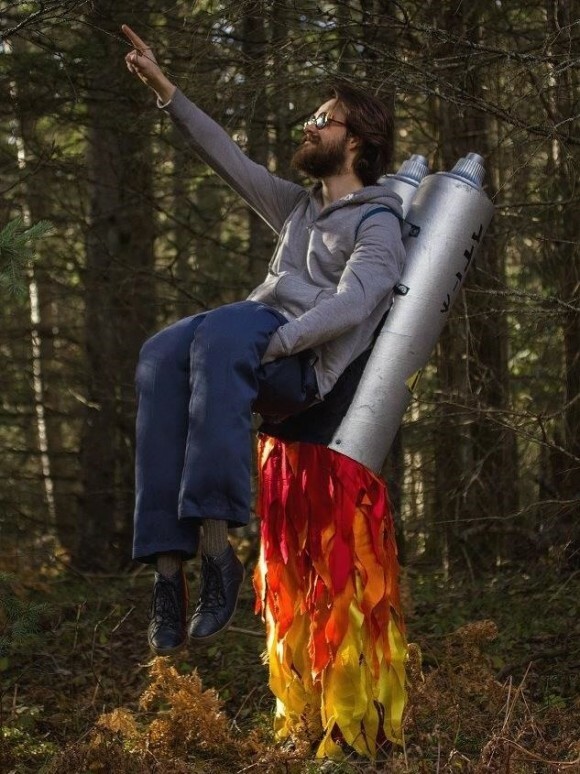 I’ve seen a few rocket illusion Halloween costume ideas in the past few years, and I love them! So creative! In fact, before I saw the contortionist Halloween costume illusion above, this was my favorite; it’s now a close second. Ewie! 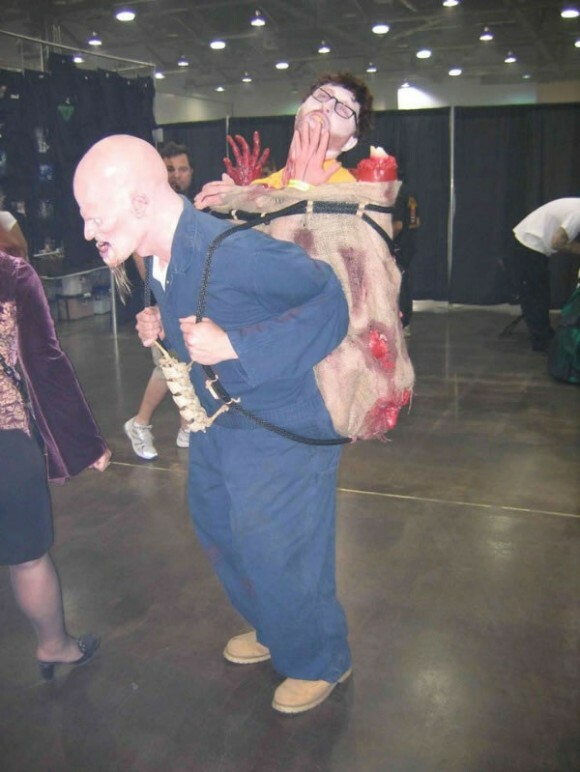 This body in a bag Halloween costume is definitely spooky and more than a little gross…making it a pretty awesome Halloween costume, especially if you wanna freak out your friends! So, what did you think? Which was your favorite illusion Halloween costume in this list? Let us know if you’ve seen any other great optical illusion costumes this year! We have scoured the internet to find you more costumes to inspire you this Halloween. I love this kid’s sense of fun and humor. If this was a school’s costume contest, he definitely is in my finalists line up. Clever and very creepy. Popcorn! Coming in as the most popular costume for 2017 as the remake of the movie is quite successful in box offices. I have reports that many local parties and costume stores are sold out of Pennywise costumes. Want to join the bandwagon? 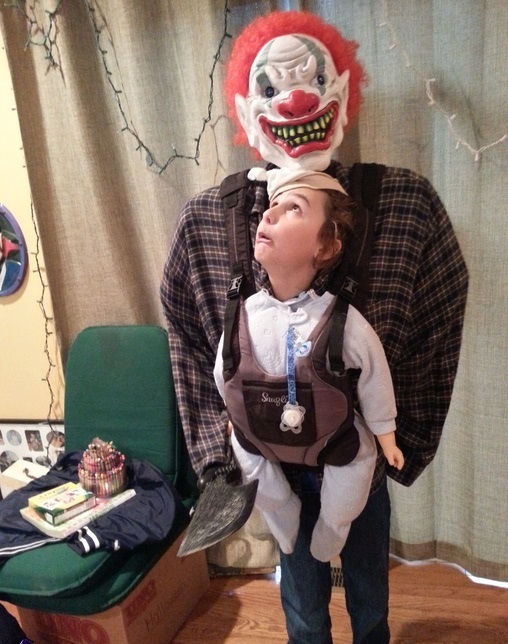 Make sure the clown is more gruesome with jaws for an additional fear factor. This one is relevant to the POTUS being a focal point. While it may be distasteful to some, we think it is fun and satirical. 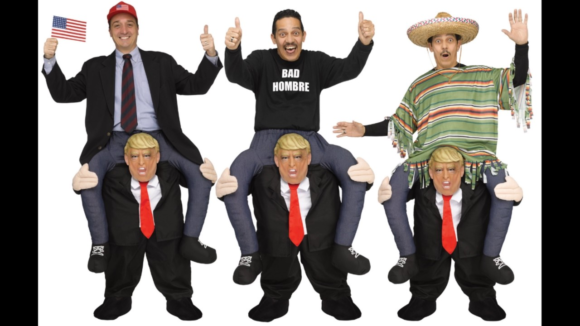 If you want to stir controversy this Halloween, try this costume. 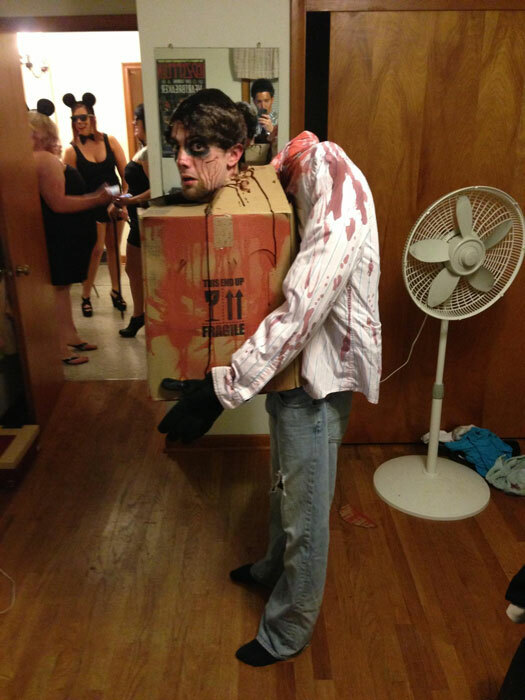 You might also want to check out this headless woman Halloween costume illusion. Definitely spooky!